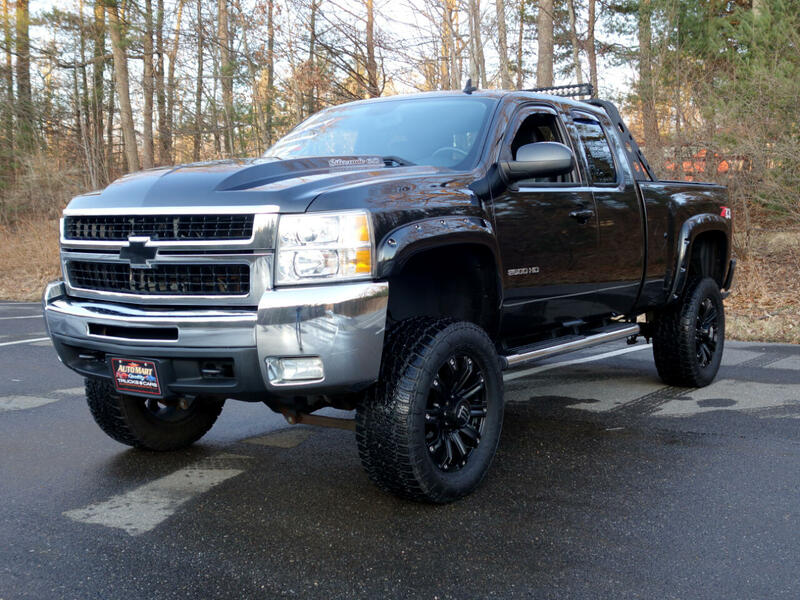 We are pleased to bring you this very clean and unique Chevrolet 2500 HD LTZ 4x4. It stands above the crowd with a subtle suspension lift, 20 inch Monster wheels, Nitto tires and enough lights to find your way through the darkest places. Finished in Black Granite Metallic, its original paint, exterior panles, chrome and trim are excellent. It is equally clean underneath, showing care and pride in ownership. Its comes fully load with factory options including power and heated front seats, a power sunroof, dual zone climate control and a full set of really nice Weather Tech Mats. It boasts a clean Car fax history report with full service and maintenance history.